You’ve built your foundation of fitness. Your pulse rate is down, you’ve dropped some pounds and you’re noticeably stronger, leaner and more flexible. Now you’re ready to take your training to the next level – developing your speed and endurance. Speed and endurance mark the difference between being fit and being an athlete. You aspire to being an athlete and you’re prepared to put in the work to become one. Here’s your game-plan. Enhanced VO2Max: Your VO2Max is a measure of how much oxygen can be utilized by your body during every minute of training. The higher your VO2Max, the more efficient your heart and lungs will be working – and the faster you’ll be able to run. Higher Lactic Acid Threshold: The lactic threshold refers to the fastest pace you can maintain before the exercise by-product lactic acid causes muscle fatigue. The higher your lactic acid threshold, the harder and longer you’ll be able to train. And the harder and longer you’re able to train, the greater your sports performance is going to be. 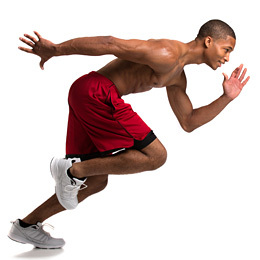 Sports Economy: Increasing speed and endurance will allow you to recover more efficiently during game play. It is often the ability to recover and refocus on the next phase of play, which marks the difference between the winning and losing team. 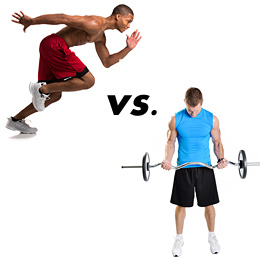 The most effective way to increase speed and endurance is to perform speed endurance training drills. These trainings sessions are extremely demanding and should not be attempted until a solid fitness base has been established. They should be performed twice per week with a gap of 3 days between sessions. Total workout time should not exceed 25 minutes. Step out 30 meters on a running track. Place a cone at the start point and at 5-meter intervals, for a total of 7 cones. After a warm-up, sprint at full speed to the 5 meter cone and back. Then immediately continue to the 10 meter cone and back. Continue until you have sprinted to all 7 cones and back. Rest for 90 seconds and repeat. Step out a distance of 100 meters. Run this distance at an increasing pace such that the last 40 meters are done at full pace. As you pass the 100 meter mark slowly de-accelerate. Then turn and walk back to the start point. Continue this 100 meter graduated sprint for 2 minutes. Then recover for a full 2 minutes. Repeat this a pattern 6 times. Step out a 30 x 30 meter box and mark the points with cones. Place a cone in the middle of the box. Place yourself at the center cone and then sprint to each corner and back in a clockwise direction. After completing a full circuit rest for a minute. Perform a total of 6 circuits. Fartlek training was developed in Sweden in the 1930’s. The word means “speed play”. It involves a combination of running, sprinting and bounding mixed up with agility drills and all put together into one high octane training session. Start off with walking, marching and jogging over a 200-meter track. Then step it up a bit, with 100-meter fast jogging stretches, eight to ten times. Finish the warm-up with some static stretches and dynamic mobility movements, such as arm swings, leg swings and hip circles. To make your legs more spring-like, you need to engage in horizontal bounding movements. Perform 5 sets of 10 bounds, in which you alternate from one foot to the other. After each set, walk back to the start position. Perform 3 to 5 sets of speed accelerations as follows – start by jogging and then build to an all-out sprint at 90% of your maximum speed. Your full out sprint should cover a distance of 50 meters. Concentrate on a powerful driving motion through the knees and arms. Speed endurance allows you to build up your tolerance to lactic acid build-up while reducing your overall fatigue onset. Complete a series of 5, 200 meter rhythm runs at 80% of your maximum speed. Focus on your running cadence and a quick, consistent leg turnover. Similar to the warm-up, jog slowly for 800 meters. Finish with static stretches focused on the lower body. Being the fittest, the fastest, the most quickly recovered is not all about genetics. By applying the training routines outlined above, you’ll be able to foot it with the most gifted of athletes. Furthermore, you’ll be able to enjoy a level of inner health that will benefit you longer after your playing days are over. 1. ACSM Fit Society Page. American College of Sports Medicine [www.acsm.org] Winter 2009-2010. 2. Hoyt,Trey.Skeletal muscle benefits of endurance training: mitochondrial adaptations.American Medical Athletic Association Journal,Fall 2009. 3. Roels, et al. Effects of Hypoxic Interval Training on Cycling Performance. Medicine & Science in Sports & Exercise. January 2005. 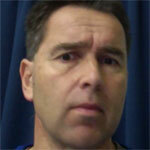 Steve Theunissen is a former gym manager and sports trainer. He was the first personal trainer in New Zealand, where he lives with his wife and 12-year-old daughter. He is also a published author with 5 books to his credit. For the last decade, Steve has been teaching Middle School students how to become better writers and readers. He currently runs a Fitness Boot Camp twice a week for pre-teens.